Choosing the next leadership of the family enterprise has never been more important, or more difficult. 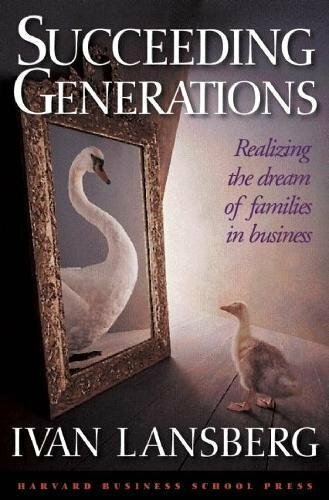 Family businesses today face the daunting challenge of changing leaders at a time of rapid technological change and increased competitive pressures from globalization. Adding to the complexity of these transitions, research suggests that two-thirds of these companies intend for voting control to be shared among a group of siblings and/or cousins. Our aim at LGA is to help succession transitions succeed for the long term because they respond to the family’s deepest aspirations for continuity. The first task of family business succession planning is the family’s consideration of the full range of possibilities for the future, and the articulation of its collective dream of continuity. Succession should always be thought of as a process, not an event. It is a generational relay that involves helping incumbent leaders to plan their departure as well assisting new leaders in taking charge. Leadership selection is always a strategic decision that starts with defining the leadership needs of the family enterprise as it will be in the future, not as it is today. Leadership selection must be “data-driven.” Good leadership choices cannot be made in the absence of reliable information about the strengths and weaknesses of successor candidates. Wise incumbent leaders do not choose their successors on their own. Involving the Board and other key stakeholders optimizes the selection process. Succession is not just about replacing the top leader. It involves reconfiguring the entire top leadership team. Creating a transition team to manage this complex process. Discussing the timetable for transition. Conducting a strategic analysis of the company’s future leadership needs. Designing a comprehensive program for developing the rising generation, to enhance their skills for careers inside or outside the family company, and to evaluate each leadership candidate rigorously and fairly. Working individually with the senior generation to plan their post-transition careers. Senior Partner Ivan Lansberg, an organizational psychologist who grew up in a family business, examines the reasons behind the high failure rate in family businesses and reveals the factors that contribute to their long-term success. Contact us to learn more about our approach to strategic succession planning.